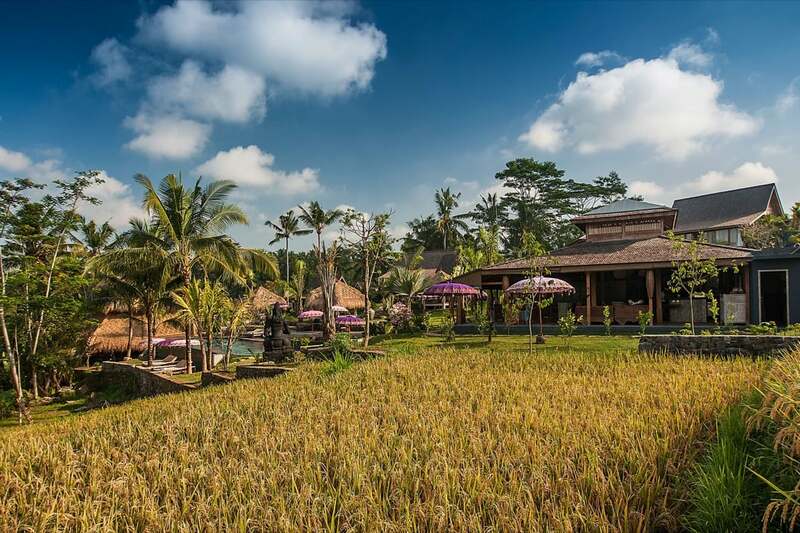 Ubud is a town in central Bali and a great destination for the more cultured luxury traveller. Its a world away from the beach party scene in Kuta and is famous for its crafts and galleries selling paintings and artisan goods, as well as cafes and restaurants. Hotels are dotted between the verdant rice fields and palm trees that grow up the majestic hillsides. 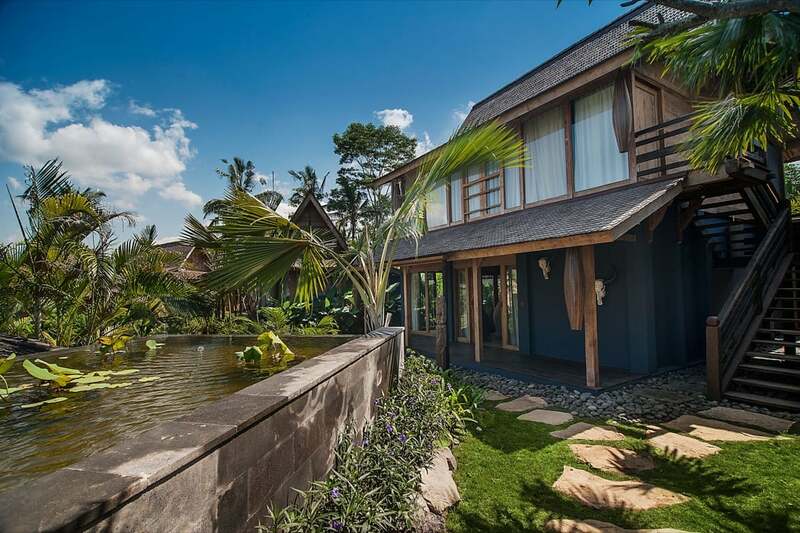 Blue Karma Resort Ubud is located just 3.2km from the popular resort of Ubud on Bali. 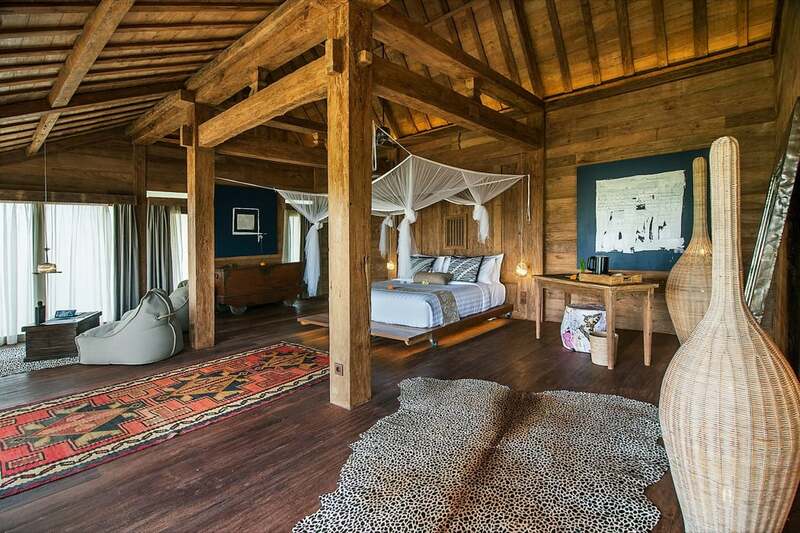 It is set amidst rice fields, palm trees, and jungle in the Balanese countryside. 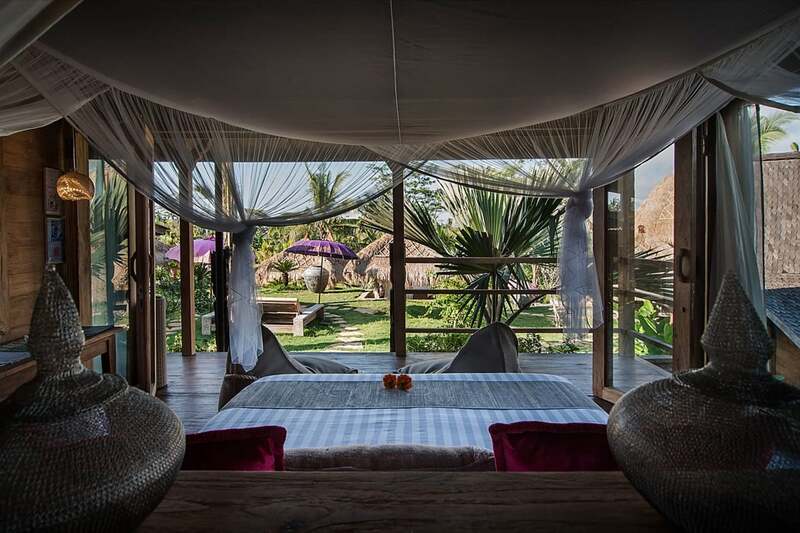 The hotel is surrounded by luscious tropical gardens and colourful fruit trees and is made up of traditional Javanese huts each decorated personally with the artistic touch of owner Alexa Genoyer. The design mixes local materials such as lava stone with the sweeping greenery and rice paddies providinf the perfect backdrop to this calm and blissful getaway. Within walking distance of the hotel are lovely walks, yoga centres, and local organic restaurants. 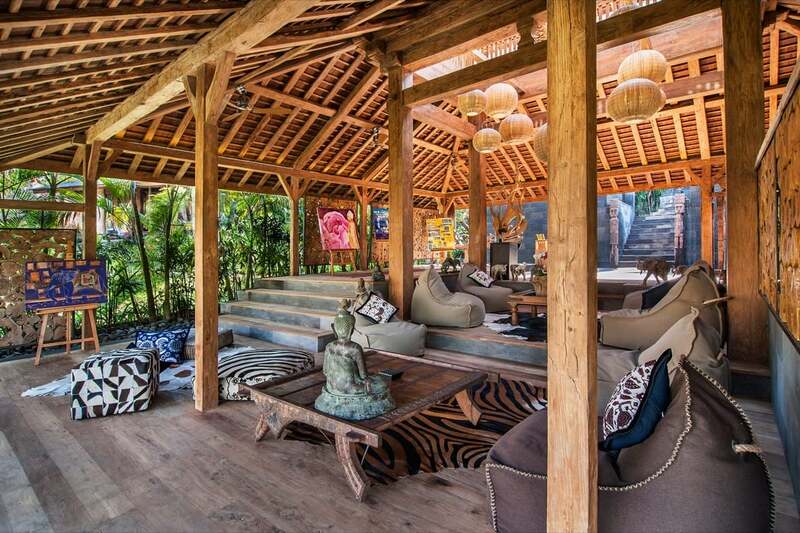 The hotel also offers a complimentary shuttle services multiple times a day to and from Ubud. 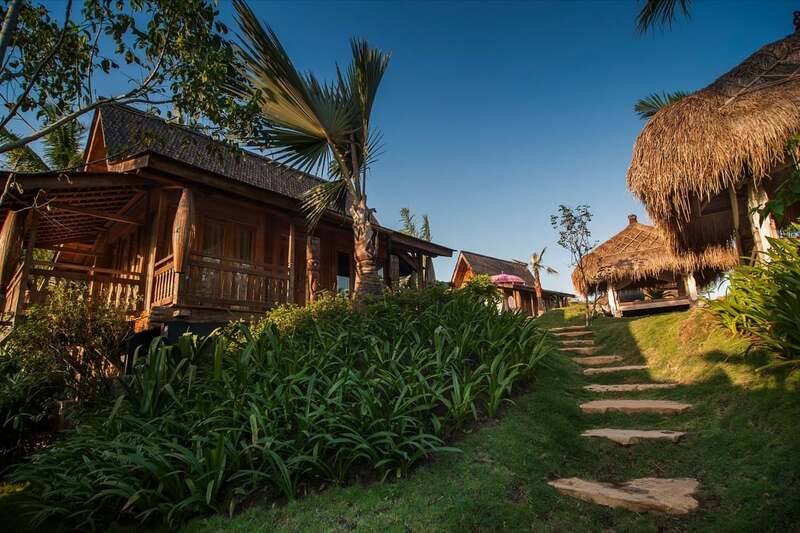 This small boutique resort is full personality and villas are tucked away in the rice fields at the edge of the jungle. 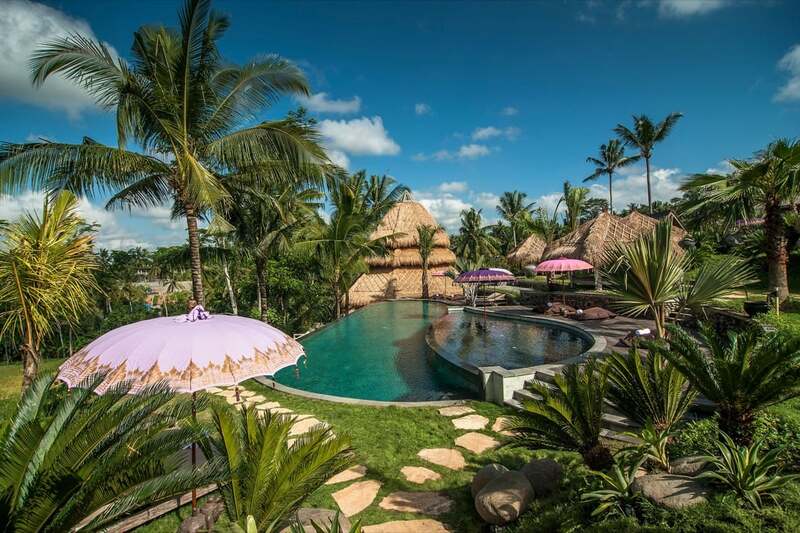 All villas are situated around a big infinity pool, surrounded by palm trees and rice fields. Interiors are homey and modern with fun features like bean bags and canopy beds. The bathrooms are large as are the beds, which is a bonus for larger travellers. 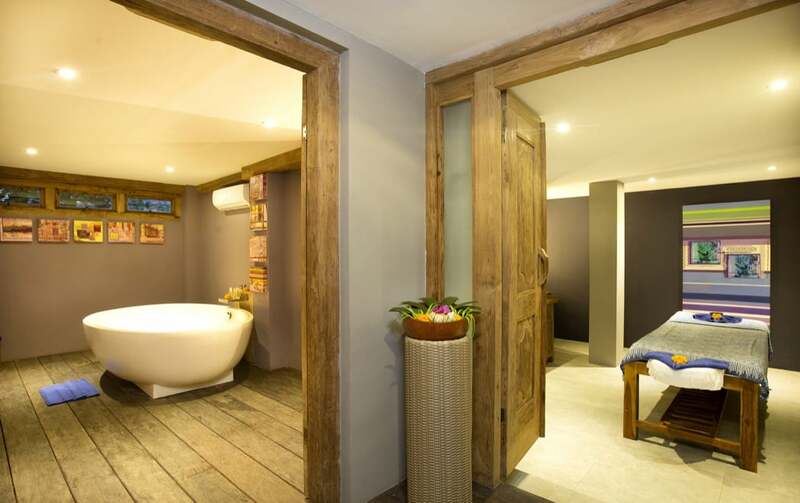 Blue Karma Ubud is the perfect setting for rejuvenating and restoring mind, body and soul. The refreshing 25m outdoor pool in the centre of the hotel grounds is the perfect place to cool down. 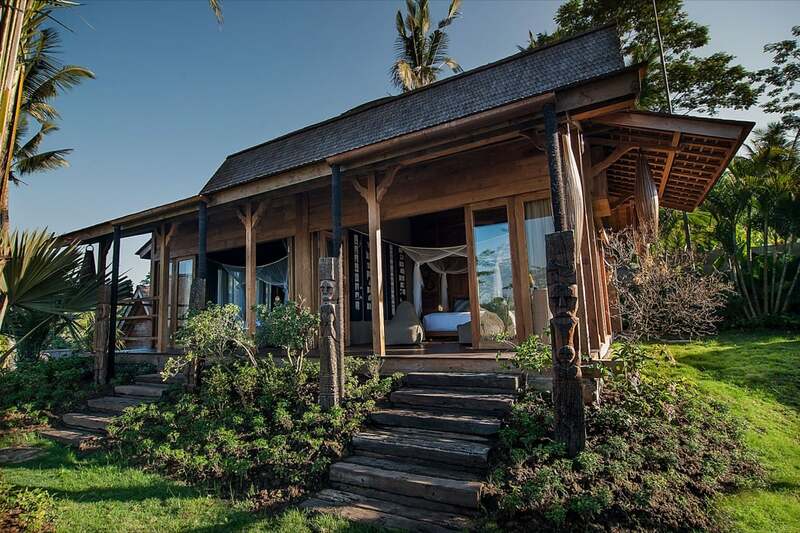 Activities include Yoga classes, traditional Balinese massage, carried out in the comfort of your own room and of course, you can soak up the peaceful atmosphere in one of the garden’s many resting areas. A short drive away is Ubud Royal Palace, which showcases a number of dance performances in the evenings. During the day you can visit Ubud’s traditional art market, where you can buy all sorts of ethnic items and local memorabilia such as budhas. The rooms at Blue Karma Resort Ubud are decorated with a blend of traditional and modern and are housed in traditional Javanese huts. Each room is fully air-conditioned with a seating area, a minibar and a spacious en-suite bathroom with shower, hairdryer and luxury toiletries. Choose between the Superior Garden Suites, Deluxe Garden Suites and Premier Suite Rooms. The Royal Suite is the most luxurious room in the resort. 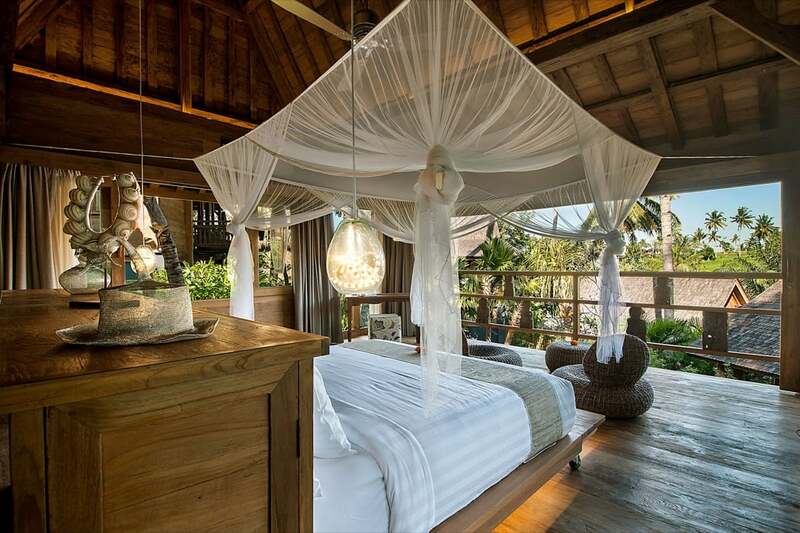 The view from this bed looks directly out to the lush jungle. 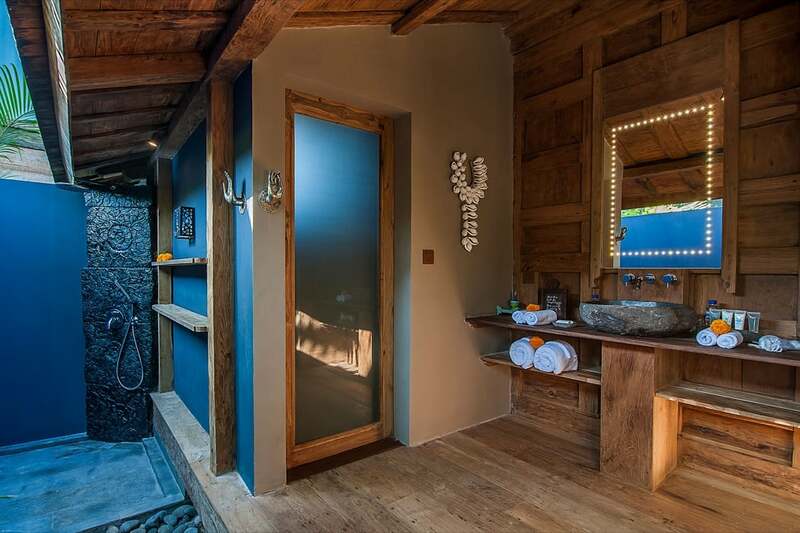 There is also a large bathroom with a huge bathtub ideal for lazing. There is both western and Indonesian cuisine on offer at the Blue Restaurant in the hotel. 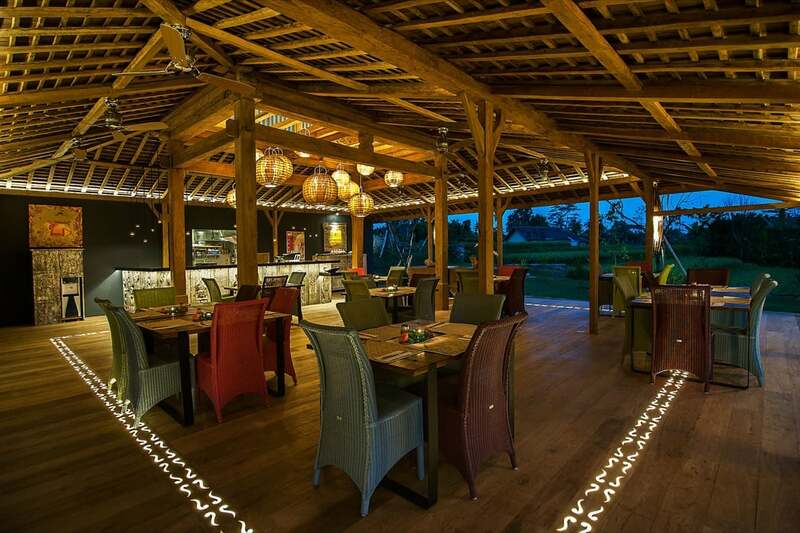 Wapa Restaurant comes highly recommended and is just 10 minutes away, or authentic Indonesian food can be enjoyed at one of the restaurants in central Ubud. 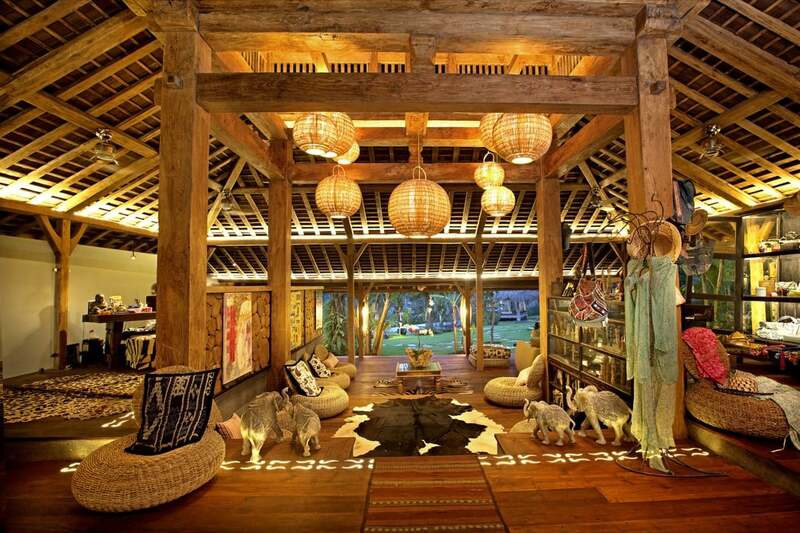 This boutique resort makes a beautiful, luxury retreat and a unique place to stay in Ubud, Bali.